U.S. efforts to stem the trafficking of weapons into Mexico are being hampered by a failure to share intelligence, a U.S. justice department report has found. The report — titled “Review of ATF’s Project Gunrunner” (U.S. Department of Justice, Office of the Inspector General, Evaluation and Inspections Division, November 2010) — said the Bureau of Alcohol, Tobacco and Firearms was not sharing enough information with its Mexican counterparts and other U.S. agencies. It also said ATF agents did not focus on catching big gun runners suspected of arming Mexico’s drug gangs. Mexico has long called for the United States to do more to prevent gun-smuggling. The report by the justice department’s Office of the Inspector General looks at the effectiveness of the ATF’s Project Gunrunner, which began in 2005 and was expanded nationally in 2006. The BBC quotes the report to say that in part because Mexican law severely restricts gun ownership, drug traffickers had turned to the United States as a primary source of weapons. It acknowledged that efforts to curb gun-smuggling had been stepped up amid a huge surge in drug-related violence in Mexico, where more than 28,000 people have been killed since late 2006. More cases had been referred for prosecution to the U.S. Attorney General’s Office (up 54 percent), more firearms had been traced, and inspections of gun dealers in border states had increased. There were, however, “significant weaknesses” in the ATF’s activities, the report found. Most efforts were concentrated on cases involving one or two people, with less important gun dealers and “straw purchasers”, or third party buyers, targeted rather than bigger criminal networks. “USAO and ATF personnel we interviewed stated that Project Gunrunner cases rarely pursue those who request and pay for the guns,” wrote the report’s authors. In addition, the ATF did not “systematically and consistently” share strategic intelligence with partners in Mexico and the United States. There was also a failure among ATF agents to share information with each other. A key part of Project Gunrunner is tracing guns seized in Mexico, which in turn helps the ATF to identify traffickers operating in both the United States and Mexico. 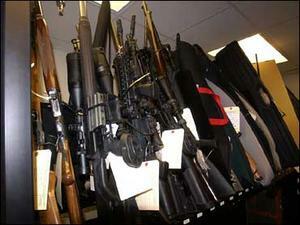 The majority of guns confiscated by Mexico and submitted to the ATF for tracing do originate in the United States. A large number of seized weapons, however, are not sent for tracing, or tracing is considered “unsuccessful” because there is missing or improperly entered data concerning the seizure. The report also found that the ATF had not managed to communicate the value of gun tracing to Mexican officials.